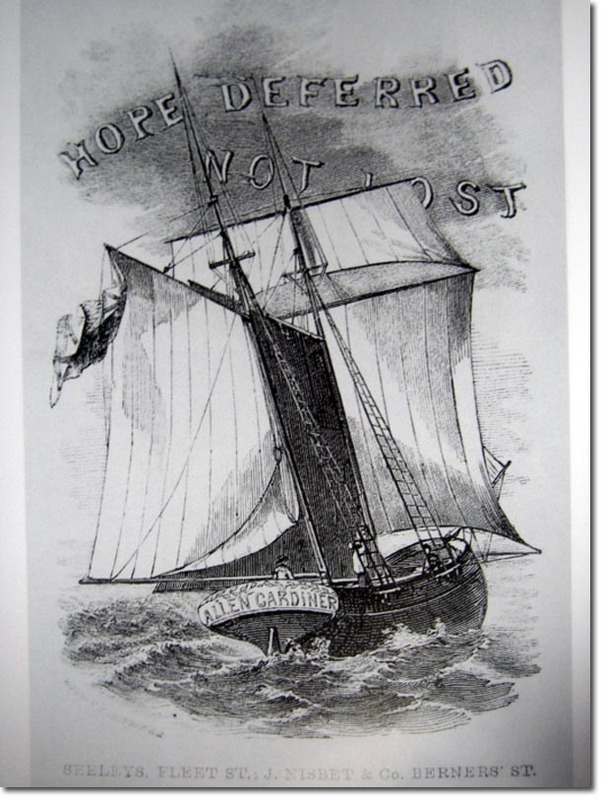 The Allen Gardiner was the Falkland Islands' mission ship and was used to connect the Anglican Bishop of the Falkland Islands with the various mission of South America, and particularly those in Tierra del Fuego and Patagonia. In 1859, all of the crew but one were murdered by natives in the Magellan Straits - showing just how precarious the work of the missionaries could be. It was returned back into service and continued to service the bishopric for many more years.